You all are going to think I’m crazy but what I failed to mention in my previous post about the true reason for starting the Croatian road trip in Samobor is because of my hunt to find this: the kremsnite. 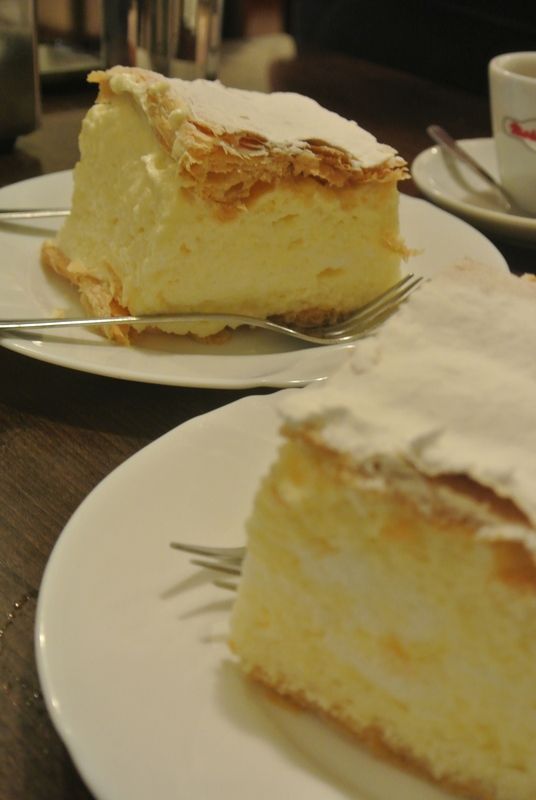 It’s a traditional Samobor dessert with a substantial layer of vanilla custard sandwiched between a puff pastry base and top coated in powdered sugar. 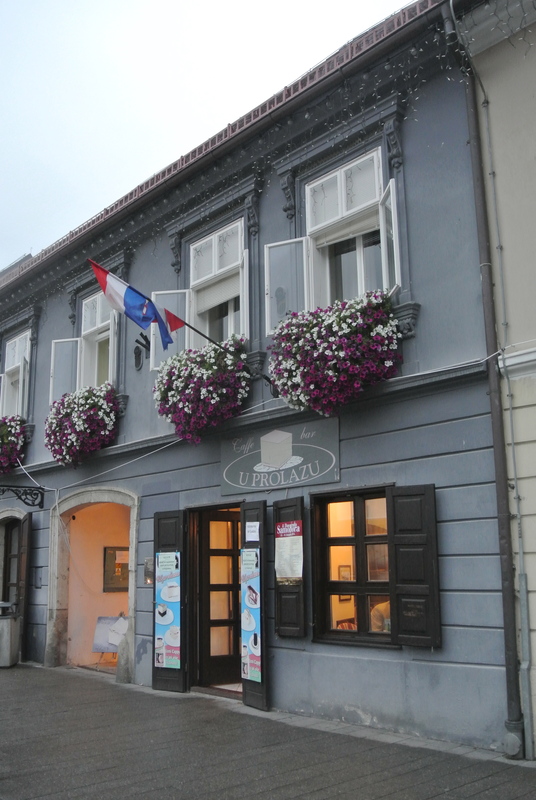 And I found it at U Prolazu, a caffe/bar located just a few doors down from where we had dinner at Samoborska klet in the main town square of Samobor. Open late with two main rooms full of locals, it looked like a very popular spot for late night get togethers with friends. As this was my first taste of kremsnite, I really went in with no expectations and was pleasantly surprised at how light and airy the vanilla custard was in the kremsnite. It tasted like it was made with whipped cream which made it light and subtle in vanilla flavour – a great dessert to follow a heavier dinner. Well worth the detour! The quaint U Prolazu caffe. 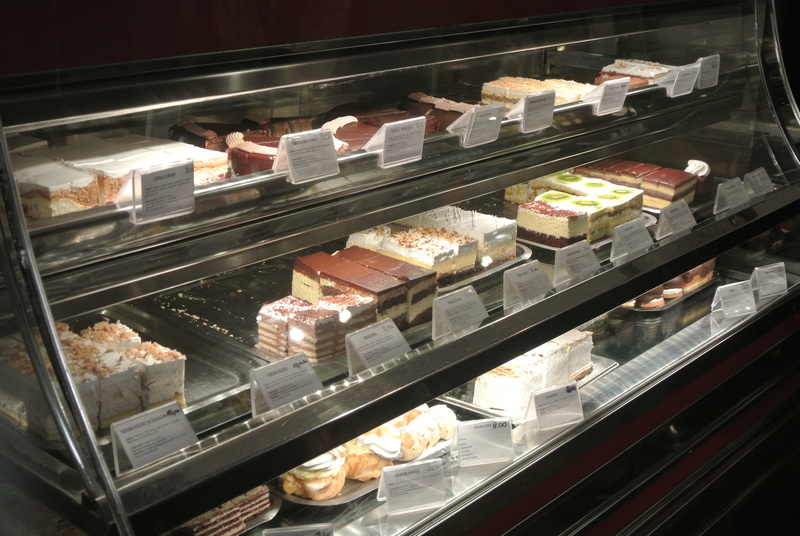 A display full of homemade desserts with many varieties of the kremsnite. 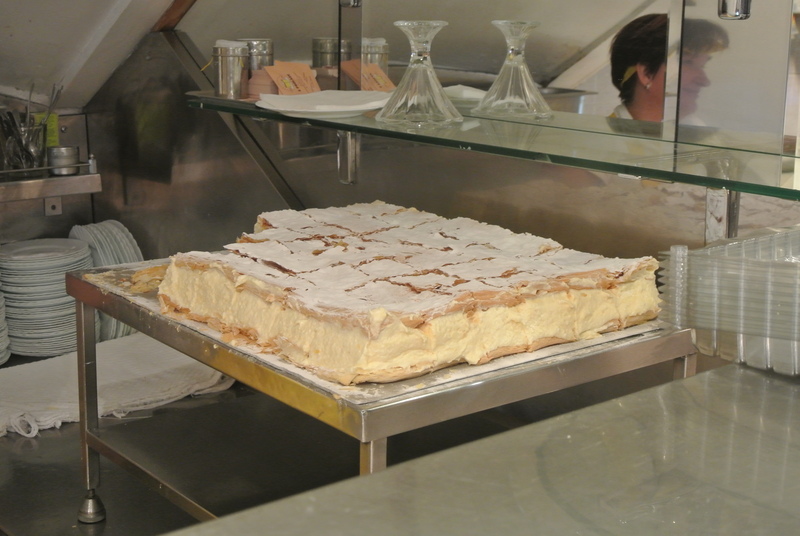 The signature dessert made at U Prolazu: kremsnite, Samobor style. Single serving sizes of the delicious kremsnite. 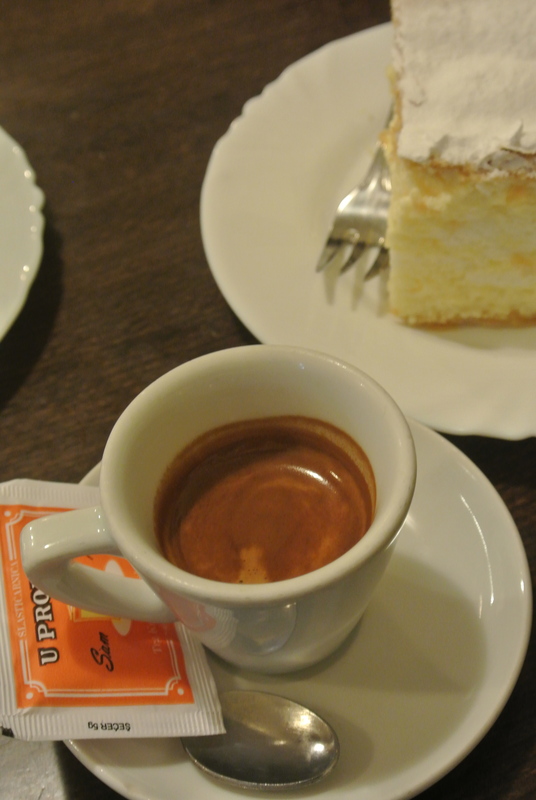 My first coffee in Croatia – strong and full of flavour.